Many people want to start investing in the stock market but don't have a huge pile of capital to start with, or even a few hundred dollars to invest. In the world of penny stocks, though, this isn't an issue, because you can buy shares in a penny-stock company for, in some cases, less than $1.00. A penny stock is considered to be any stock that trades for less than $5.00 per share. Publicly traded companies with share prices under $5 are often newer companies, underperformers, and sometimes financially-troubled businesses. However, doing your homework and using a good technical investment strategy can help you identify companies that are possibly worth your investment. 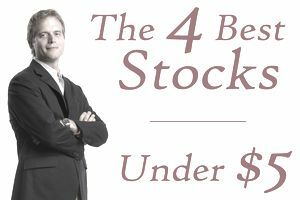 To get you started, the following four companies are some good candidates to review as a potential start to your penny-stock portfolio. ARC helps engineering, construction, and architect professionals. Any project which requires computer-aided design, digitized blueprints, large format printing, or the collaboration of multiple specialists, will benefit from the services which ARC provides. This is not a "small business" by any means, being valued at $110 million dollars, based on the current stock price (which is just above $2.40 as of the time of writing this article). For the full year 2017, ARC generated $394 million in revenue. ARC is one of those small corporations which is widely loved by professional money handlers (such as hedge fund and mutual fund managers). Such institutional investors hold 75 percent of all the available shares of the company. When added to the 17 percent owned by insiders, there is only about 7 percent of ARC stock left to trade on the open market each day. This penny stock is slightly more than 2 and a half times as volatile as the overall markets. It means that ARC shares have been more active than the average ​investment, which can mean the gains (and the losses) are greater than you will see with the majority of other investments. ARC has $28 million in cash and speaking of assets, the important numbers from the balance sheet look very solid. To get a quick lesson in the balance sheet (which is the very first thing you should look at with your penny stock analysis), the balance sheet basically shows what a company OWNS compared to what it OWES. Current (short-term) assets are $114.5 million, and total assets have reached $339 million. Current liabilities are $74.9 million, and total liabilities are $201.8 million. In other words, ARC is in very solid financial shape. Their operational results are even better. Last year the company reported a $17.8 million operating income. Currently, Zacks.com considers ARC an undervalued company and analysts are rating it a buy/strong buy. While recent growth has been neutral, I expect that their profit margins will improve (recover) in the coming quarters. Combined with the financial results which management is anticipating (30-35 cents per share in earnings, $60 million in cash flow), this would put the forward-looking price to earnings (P/E) ratio at only 11.5. Remember, with P/E; lower numbers are stronger than higher ones! In other words, ARC is highly undervalued at current prices. The fact that they are buying their shares back on the open market, while also paying down their outstanding debt by another $4 million, is just gravy. You almost certainly have used RealPlayer at some point. After all, it's built into most computers before you even take them out of the box. Well, the company has expanded beyond its early roots now, and their portfolio includes games, music for call waiting, apps, and other programs to help people have the best experience with technology possible. So, is RNWK on the right track? $78 million in revenue over the last 12 months says so. Never mind that this $154 million company has $51 million in cash. That works out to $2.36 per share, for a penny stock which is trading at just above $2.55 as of the time of writing this article and has minimal debt. Professional investors are pretty greedy with this one and why wouldn't they be? They know a good thing when they see one! Between institutions and insiders, they hold over 90% of all available shares. It should be a pretty solid year for RNWK. They are anticipating a return to growth in both revenues and profitability. Added to that should be improved operating efficiencies. These benefits will come from a corporate realignment in two of their three main operating divisions, which has already been implemented but only now is starting to show the benefits fully. Speaking of the "soft turnaround," much of the heavy lifting is done now. The benefits of the new, leaner and meaner RNWK should begin to pay off in the coming months and years. Many are worried about a potential recession, and the impact it would have on stocks. There are certain types of businesses which may get destroyed by a recession (such as luxury goods, and consumer discretionary products). However, there are also the types of companies which will be fine (such as pharmaceuticals and medical surgery services). Misonix is in the latter group, providing needed cutting edge (no pun intended) surgical devices. They specialize in implements for spine and skull procedures, as well as the tools for cosmetic and laparoscopic procedures, among other things. Recession or not, people tend to go ahead with life-saving and life-altering medical procedures. That is what makes MSON such a solid store of value when most other stocks are teetering on the brink of a correction. Of course, even without an economic slowdown, Misonix should do very well. Its recently announced quarterly results showed that 73 percent of revenue is now recurring in nature, which is up from 57 percent in the comparable period from a year earlier. The greater the percentage of repeating revenue, the more fiscally stable and predictable the shares become. It also insulates the company from possible shocks such as the loss of a major customer, or a significant lawsuit, and/or cash crunches. Some of MSON's customers are located in China and Russia. Both of these markets have been showing weakness recently, but still, represent tremendous growth potential for Misonix. The company expects conditions to recover in both of these countries, which would lead to increased sales activity. By excluding the "anchor effect" of China and Russia, MSON's revenue increased by an impressive 17 percent. The company is debt-free and is sitting on $9.3 million in cash. As well, ongoing operations are currently funded by cash flow alone, giving management reason to state their optimism, which is exactly what they did in their most recent financial reports. Looking backward over the trailing 12 months, MSON achieved $36.7 million in revenues. With a market capitalization of only $153 million, MSON should also be considered a potential takeover target, but not simply due to their "easily digestible size." Bigger corporations in the space typically love to acquire smaller niche companies, as long as they have "clean books" - as in no debt and lots of cash. DRIO provides laboratory testing capabilities to consumers, using the individual's smartphone. For example, their Dario system allows you to use your mobile device to test and monitor your blood glucose levels. DarioHealth Corp., formerly known as LabStyle Innovations Corp., has a lot of great things going for it, including but not limited to all the incredible advancements in healthcare and technology. The healthcare industry is going to be a reliable store of value, no matter what the economy throws at us! You don't stop taking medications when times get tough, and people rarely hold off on life-saving health care simply because of recession, inflation, stock market weakness, or otherwise. The applications for DRIO's smart glucose meter apply to various situations, but, of course, the big one is diabetes. Within 6 seconds, an individual can test their levels, log their results, and even shares the data with their caregivers or doctors. Dario is a $19.7 million company, but one with potential many times that size. Given the potentially addressable market they hope to conquer, operational successes could take DRIO shares to much higher levels and never look back! Just like RNWK discussed above, DRIO has no debt. They also have over $6 million in liquid cash, which equates to $1.07 for each and every one of the 5.6 million outstanding shares. DRIO has been losing around $3 million in each of the last several quarterly periods. While net earnings are always better than losses, these kinds of operational results are actually exactly what you would expect from a company in DRIO's industry, and at this stage of their corporate life cycle. As well, these slight losses (which again will be the norm for any business actively driving towards product acceptance and growth) seem much less significant when considering their fiscal position. Specifically, DRIO has $6 million in current assets, against only $3 million in current liabilities. Taking the long term view, DRIO is still sitting pretty. Their total liability position equals only $3.0 million, while they are holding almost $7 million in total assets. With such a solid financial position, DRIO will have plenty of opportunities to take advantage of their possible growth channels. In fact, as more people adopt the Dario system, the company sees improvements in their metrics and results, such as decreases in their gross and net losses, while their revenues climb. DRIO is a relatively new company, at least from the perspective of being publicly traded. In the first quarter of last year, they completed their initial public offering and uplisted to the NASDAQ stock exchange. They have also just begun online sales in America, which represents another potential growth driver to complement all the others they have. People are increasingly taking their health (including testing and monitoring) into their own hands, and DRIO's technologies will be a huge part of that for diabetics.